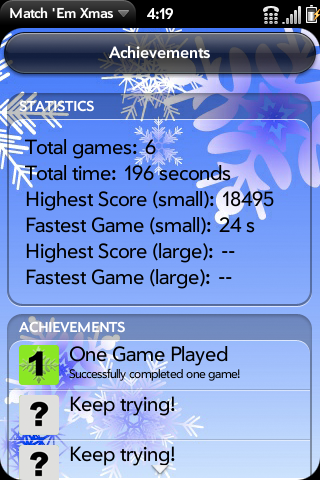 We’re pleased to announce that Match ‘Em – Christmas Edition has been updated to add achievements and statistics. Now you can track your progress as you attempt to hone your matching skills. Get into the spirit of the season and download Match ‘Em – Christmas Edition today!